"Konami Digital Entertainment GmbH has announced it has appointed argonauten G2 to oversee an exciting new companion project for its forthcoming PES 2012 title called myPES. Full details of myPES will be revealed exclusively at gamescom in Cologne. KONAMI will release PES 2012 on October 14th and is committed to providing users with a rich, all-round footballing experience. The European Headquarters of KONAMI and argonauten G2 originally discussed an idea to extend the competitive element that makes PES 2012 so playable, and have been working closely with the PES Productions development team in Japan to bring these ideas to life. 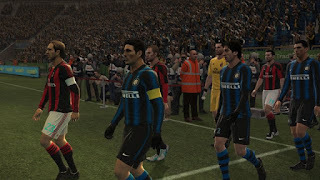 PES 2012 will be released for PlayStation® 3, Xbox 360, and Windows PC on October 14th, with versions to follow for Wii, PSP® (PlayStation®Portable) and PlayStation®2." Full details will be announced in Germany next week. Gamescom kicks off next Wednesday in Cologne.